When you meet a 24-year-old, you might not be interested in their advice on business and life. But what if that 24-year-old had already built a thriving business and established themselves as a thought leader in the marketing space? 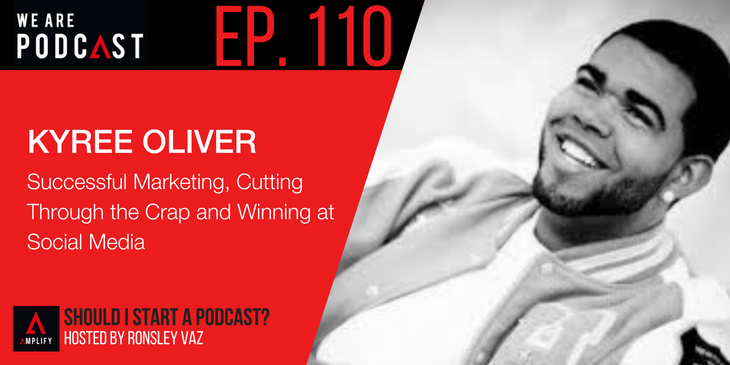 Kyree Oliver has done exactly that as the owner of Influkz Interactive, a social marketing and consulting company based in the US. On the latest episode of Should I Start a Podcast, Kyree and I had an enlightening talk about his unconventional journey into marketing, why the industry is awash in fake social media “experts”, and why up-and-coming business owners probably shouldn’t even focus on marketing. Despite his age, Kyree is incredibly insightful and an absolute pleasure to talk to. No matter who you are, he has a perspective that will make you think.